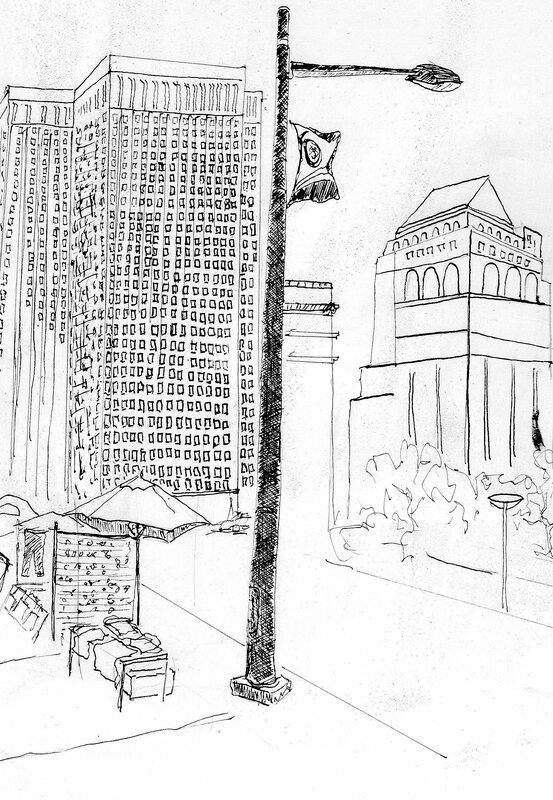 Urban Street Sketching.. Have to think of these like visual Journal Entries. I ran out of time.. onlookers interrupted me… (don’t happen often) Not a good effort, but I’m working on a couple of paintings now… building on these. I need (1) to work on drawing cars! and (2) work on techniques and experiment with materials for much rougher, quicker studies. Fine pen is good for quick studies only at small scale, or finishing at home. Posted on June 11, 2016 by wjacobrPosted in Art, drawing, Goby's Journal, My ArtTagged Art, Urban Street Sketching, Willard Art.